This simple look table has a secret life. Most people who own an iPod also use some kind of docking audio system to listen to their tunes at home. But why would you have a system that you need to put on a table -- when the table itself can become the system? That's the thinking behind the Table of Sound, which is essentially a nice big desk or dining room table, with speakers and an iPod dock built right in. 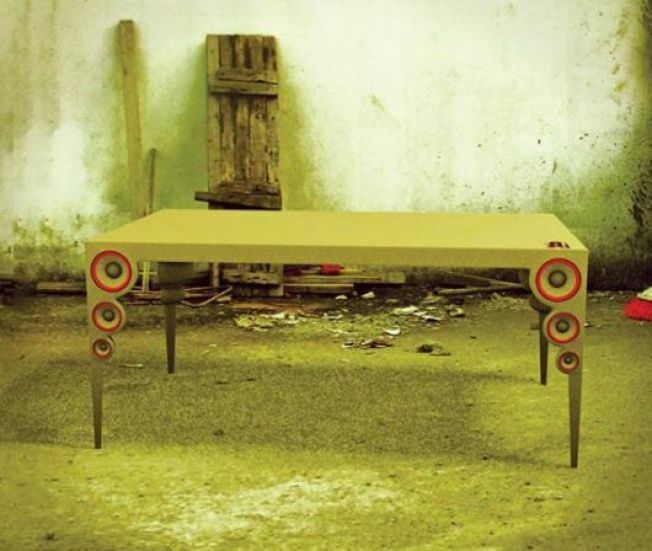 Created by a design team called Wondering Boys, the Table of Sound can connect to your MP3 player wirelessly, through its dock, or using a regular mini jack, and has been chosen as a finalist in the Designboom Sound Innovation competition. This is a really cool idea, but where does the power for the speakers hook up?